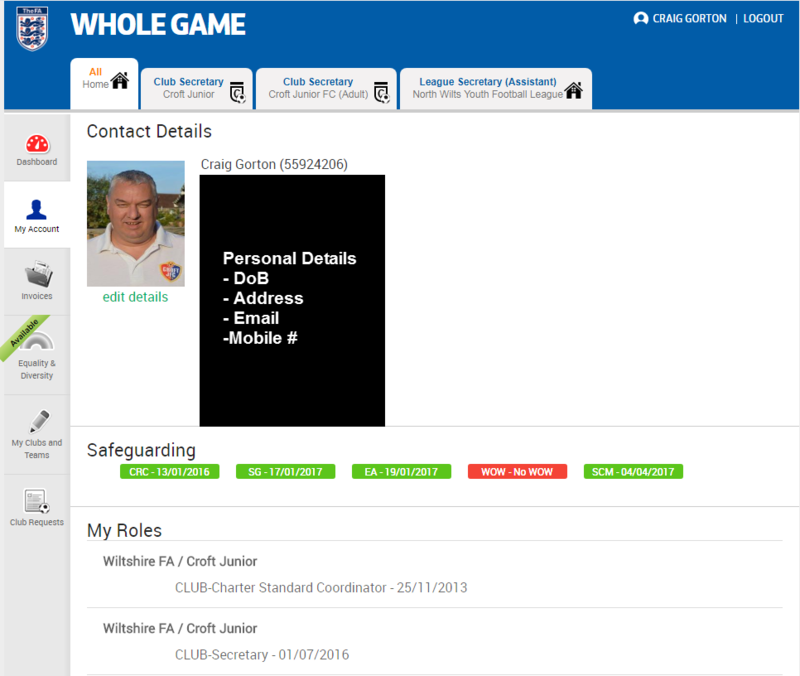 Rule 2 (I) In line with the ‘FA Club Safeguarding Commitment’ all Clubs have previously made, NWYFL require that all Managers, Coaches and Coach assistants are added to WGS and associated with their respective teams. 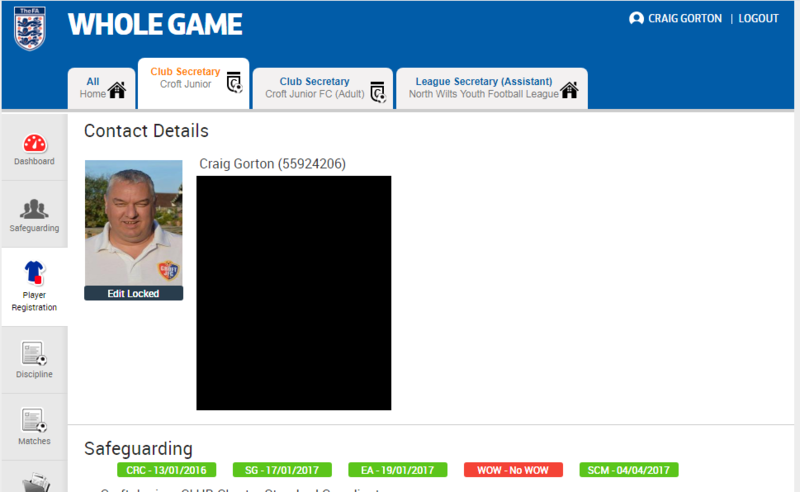 We also require that all Managers, Coaches and Coach assistants upload a recent photograph to their FAN profile in WGS. If you do not know your password then there is a Reset / Retrieve option at the bottom of the login screen. Selecting ‘My Account’ will bring up a page that will allow you to add a photo and to edit your personal information such as email address and contact numbers. 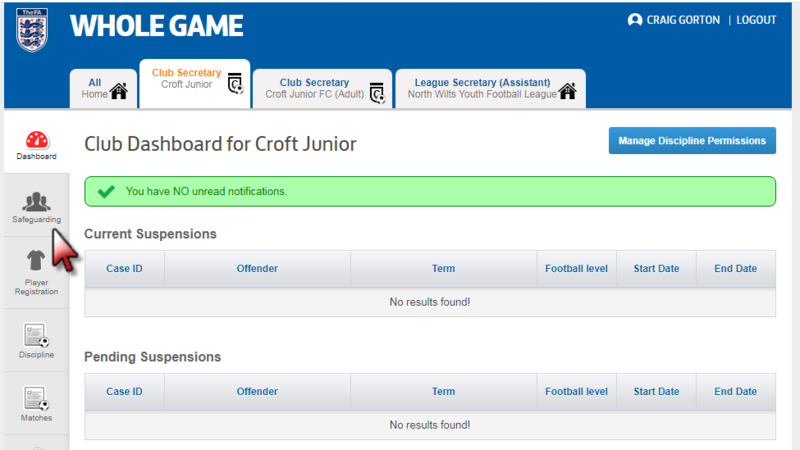 Club Secretaries, if you want to check on progress within your Club, then the best way is via the ‘Safeguarding’ tab. You will be able to tell immediately which coach has uploaded a photo as that will be displayed in the list. 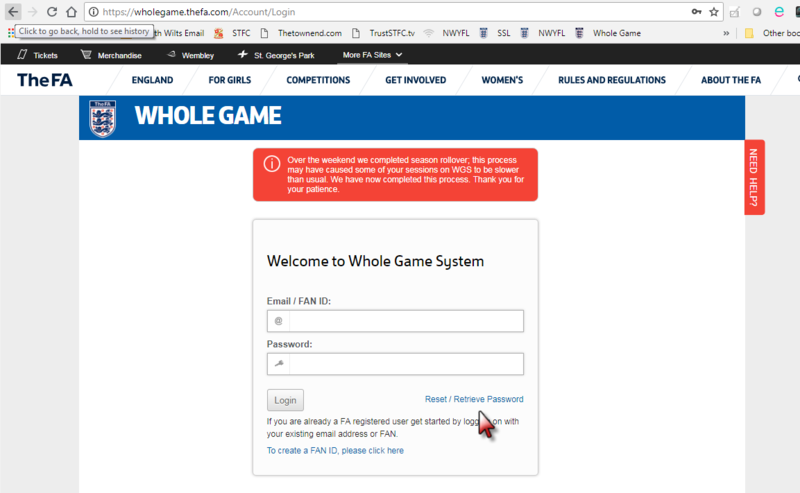 If you click on an individual’s name you will see their details, if it says, ‘Edit Locked’ at the bottom of the Photo placeholder then this means that the person has successfully logged into WGS and now has control of their personal data. 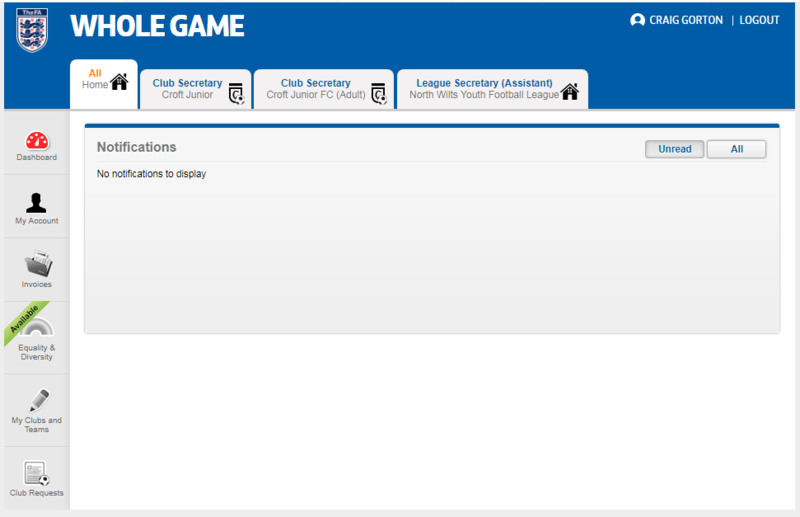 If they have not logged into WGS, it will still show ‘edit details’. If a Coaches FAN was created because of their first CRC check, there may not be an email address associated to the profile, you can add the email address from this page. This will then allow them to reset the FAN password and gain access to their profile.